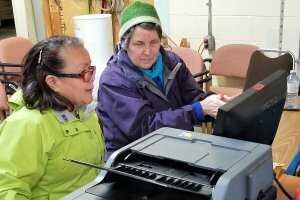 The 15,000 residents of Pozo Almonte, a small community in northern Chile, are most grateful for a shipping container load of 284 items of needed medical and dental equipment and supplies sent through Rotary World Help (RWH) in February. 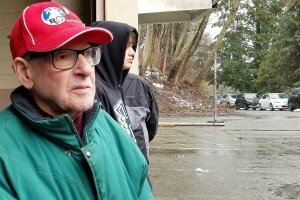 RWH is a non-religious, non-political charity run by 45 Rotary clubs mainly in Rotary Districts 5040 and 5050, throughout Metro Vancouver, up the coast to Powell River, Prince George and as far away as Summeride, PEI. 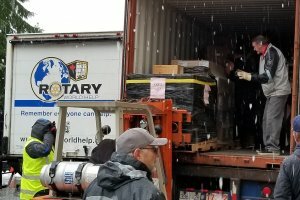 The Rotary Club of Ladner was the lead sponsor of this shipment, the 395th shipped to 62 countries on five continents since RWH was founded in 1993. 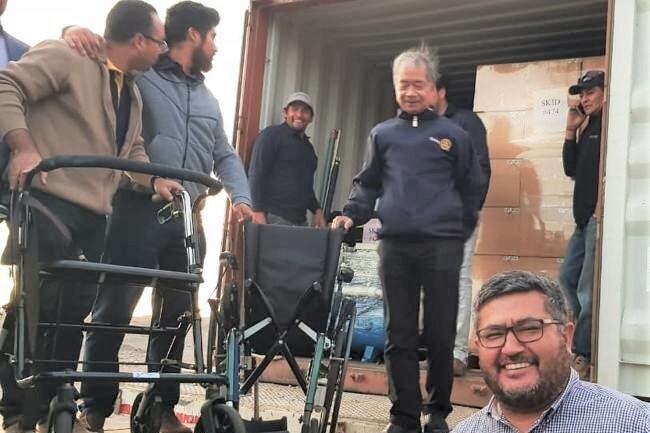 The Rotary Club of Cavancha, in Iquique, Chile, a city of 191,468 near the northern border with Peru and Bolivia, received the shipping container on March 12, 2019. 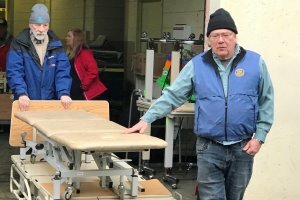 Thanks to a RWH team, which is continually gathering the equipment from hospitals and medical and dental facilities in BC, cataloguing it and preparing it for shipping, and to more than 20 Rotarians from various Lower Mainland clubs who showed up on February 23, 2019 to load the container at a warehouse in Coquitlam, Cavancha Rotary members and the people of Pozo Almonte, 50 km east of Iquique, have been celebrating this valued contribution to that community. 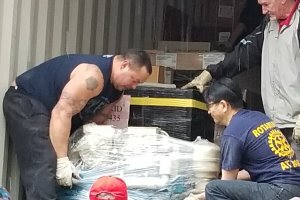 This RWH shipment brings the estimated total of people helped to almost 12 million around the world, at a total estimated value of goods shipped of $138 million.